Last year my high school friend and professional film maker Chip Richie (www.richiemedia.com) spent a day at Old Farmhouse Pottery and made a short video showing me throwing on the wheel, firing the wood kiln, and performing my song "Fingerprints". No, I don't usually play the guitar while firing the kiln - that was just for the video! The video file is 23 MB. 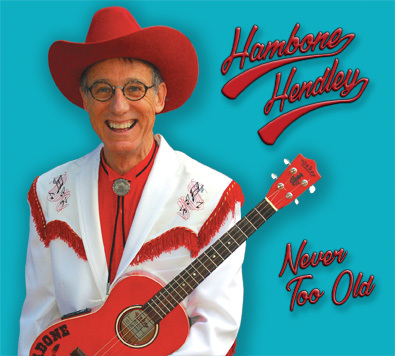 David "Hambone" Hendley's new CD available here! The CD is $15. Shipping is FREE in the U.S. Please use the second button (farther below) for shipments to other countries. Click on the "Add to Cart" button or send $15 to Old Farmhouse Pottery, 232 County Road 1805, Rusk, Texas 75785. For shipment to other countries, click on the "Add to Cart" button below. The CD is $15 and a $5 shipping charge will be added to the total. 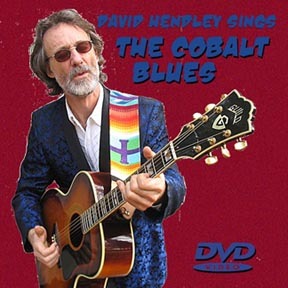 "The Cobalt Blues" is available as both a CD single and a DVD music video. The CD was published by Trinity Ceramic Supply in February 2005, and also includes their catalog of ceramic materials and supplies. 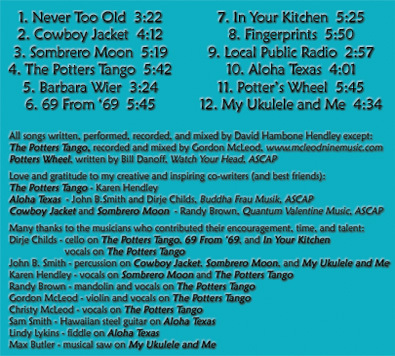 For a copy click an "Add to Cart" button below, or send $2 plus $1 postage (CD) or $5 plus $1 postage (DVD) to Old Farmhouse Pottery, 232 County Road 1805, Rusk, Texas 75785. 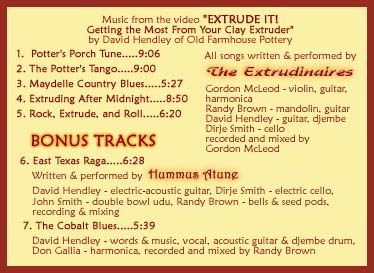 David Hendley's DVD video series is called "Extrude It! 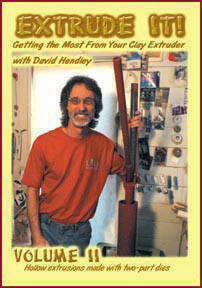 Getting the Most From Your Clay Extruder". 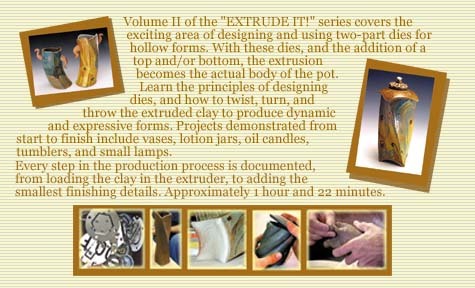 The videos cover all aspects of using the clay extruder. 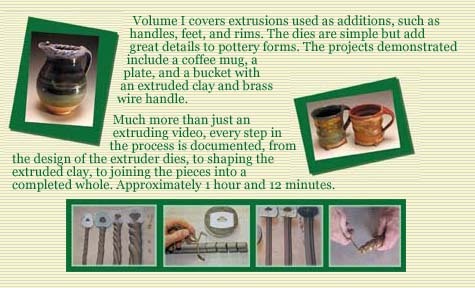 Volume I deals with extrusions used as handles, feet, and additions, Volume II covers two-part dies that produce hollow extrusions, and Volume III demonstrates using extrusions for building components as well as the expansion box for large extrusions. Buy each volume individually, or order the whole set for a special price. Read a review of the EXTRUDE IT! 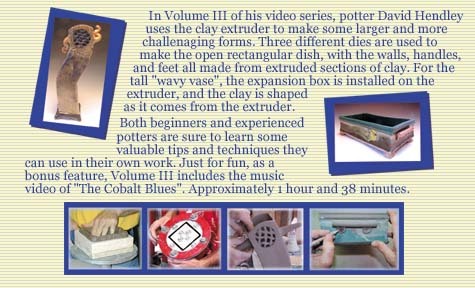 video series by Charles Moore at the Paragon Kilns website. 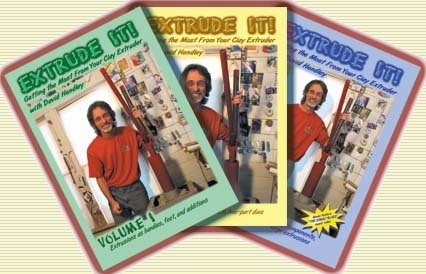 Order all three volumes of the EXTRUDE IT! 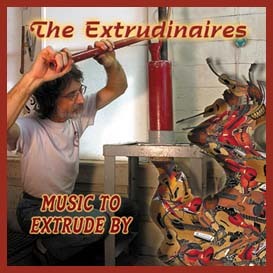 DVD series for a special set price, and receive the music CD, "Music To Extrude By", by The Extrudinaires, as an added bonus. The CD is the perfect companion when extruding, doing other jobs in the pottery shop, or working around the house. "Extrude It! 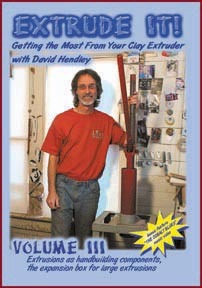 Getting the Most From Your Clay Extruder"
Volumes I, II, and III are $40, plus $3 postage, each. SUPER SPECIAL OFFER! Buy the three-volume set for $105 ($35 for each DVD) and receive the bonus music CD, "Music To Extrude By", as well as free shipping - a savings of $40.50. For DVD and CD orders, these prices are valid for international orders, but payment must be in U.S. dollars. The free shipping offer is valid only for orders shipped within the continental United States via U.S.P.S. "Media Mail". Shipping via "Priority Mail", or to Alaska, Hawaii, Puerto Rico, or foreign addresses (First Class International) is $5 - be sure to click on the "Foreign order shipping" button when ordering. Thanks! EXTRUDE IT! 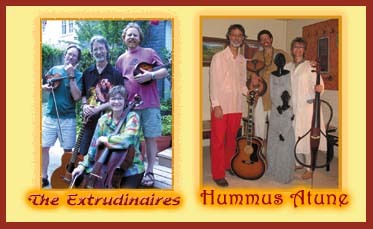 DVDs - All three volumes, plus the music CD "Music To Extrude By" $105 with free shipping to continental U.S. addresses. If you are outside the U.S., DO NOT click here - see the button below for foreign shipping. (Foreign order shipping) EXTRUDE IT! 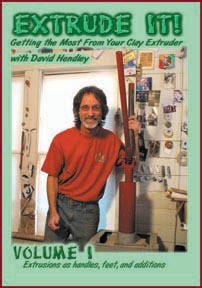 DVDs - All three DVD volumes, plus the music CD "Music To Extrude By", $105 plus $5 shipping to addresses outside the continental U.S., or for "Priority Mail" shipping within the continental U.S.
Or, receive it as a FREE BONUS with the purchase of the 3 Volume DVD set.